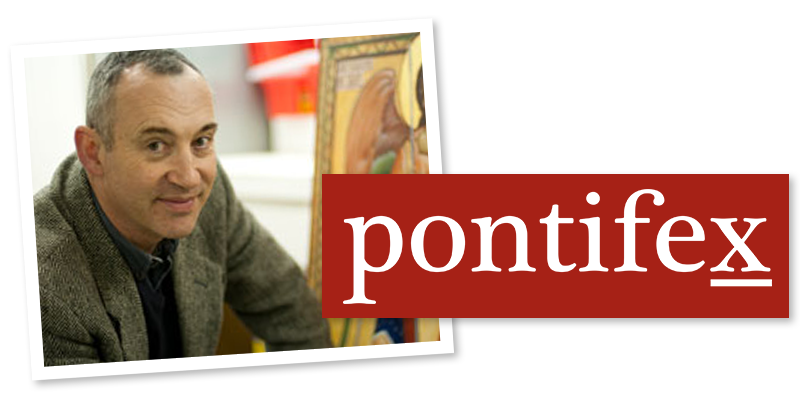 Where can Catholics Go to Learn to Paint in the Naturalistic Tradition? If you are interested in the baroque, where do you go to learn to paint? In a past article I wrote about possible places to study the iconographic technique in depth. However, the baroque is also one of the three liturgical artistic traditions of the Church (the third is the gothic) and anyone who is serious about being an artist for the Church should consider whether they want to learn this form. One place to consider is Ingbretson Studio in Manchester, New Hampshire. The ideal education would consist of the following: first, a Catholic formation (perhaps studying a liberal arts degree at a Catholic college); second a sound knowledge of the Catholic traditions in art. For those who wish to learn this aspect in isolation the Maryvale Institute’s excellent distance-learning programme Art, Inspiration and Beauty from a Catholic Perspective is recommended. They are about to offer this in the US, through the Diocese of Kansas City, which saves students on this side of the Atlantic from a trip over to the UK for the one weekend residential requirement. Full-time undergraduate-level students can receive both of these aspects at the Thomas More College of Liberal Arts in New Hampshire by taking their liberal arts degree which includes my Way of Beauty program as part of the core syllabus. The third aspect is to learn the drawing and painting skills. The skills are those of the academic method. This is the rigorous drawing method that is named after the schools that were created in the 16th and 17th centuries (especially that of the Annabale Carraci, his brother Agostino and his cousin Ludovico. The method has its roots in the methods used by the Masters of the High Renaissance going back to Leonardo. This method is different and far more rigorous than that offered in the drawing classes in a mainstream college-level art department. This training usually begins with cast drawings because casts have no colour and so the eye learns to ‘see’ in tonal values. The cast are carefully chosen to be model examples of beautiful sculpture. This way the taste of the student is developed as well as his skills. After this students progress onto the use of colour; perhaps through portrait painting or still life (I did portrait painting). The value of an academic training cannot be underestimated. It is being able to draw and paint accurately that enables the artist to realize his ideas. Whatever style he seeks to work in he needs a high level of skill so that he can create an image that conforms to what it ought to be, corresponding to the well conceived idea in the mind of the artist. Even my icon painting teacher Aidan Hart encouraged me to study naturalistic art for a year in Florence saying that all the best icon painters were also skilled draughtsmen. I do not regret following his advice. Most of the schools that teach this method now are termed ‘ateliers’ after the French word for workshop. They are small schools in which the main teacher is a Master painter. 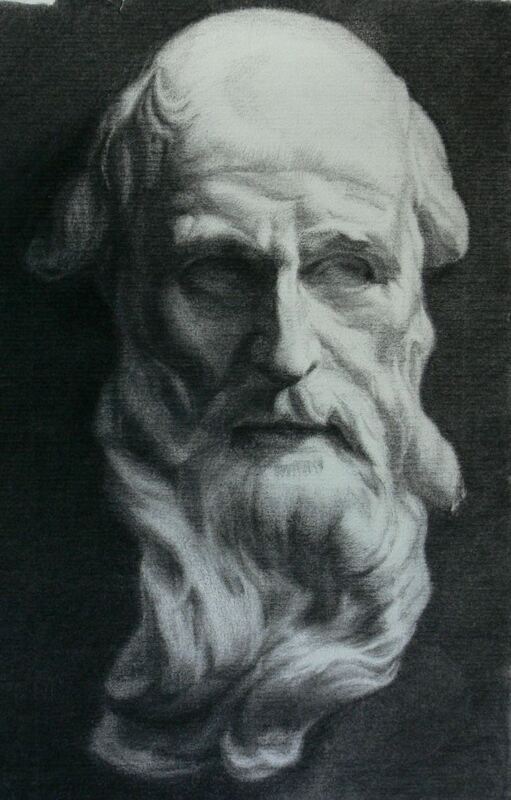 A few were established in the 1970s by individuals taught by an artist called R.H. Ives Gammell in Boston, who at that stage was an octogenarian. Gammell, who trained as a young man in the early years of the 20th century, almost singlehandedly kept the academic tradition going after all the art schools in Europe and the US had ceased to teach it. The best teachers of today that I know of (on both sides of the Atlantic) received their training from him. If you want to investigate the available ateliers yourself, a starting point is the Art Renewal Centre website, where you can run down the list of approved ateliers. Do be discerning. Have a look at the work by students and teachers in their galleries - this will indicate the style that they will teach you. It is important that you respect what is going to be passed on to you. From my point of view, while many of these ateliers will train you to draw, there is a danger in some tend to push a particular version of 19th century academic art that is detached from Christian worldview. If you are not careful this could affect your style detrimentally. The result will be either the extreme of a cold, sterile detachment (a form of neo-classicism) or a the end of a saccharine sentimentality. If, on the other hand, you are armed with a full knowledge of the Christian context of this tradition (such as the courses at TMC or the Maryvale Institute would give you) you should be able to make good use of the skills you learn. You can contrast some aspects of 19th century atelier art with the baroque style of the 17thcentury by reading these two articles, written earlier, here and here respectively. Another problem which would be a concern for some is that one cannot assume that a taste in traditional art necessarily means that a traditional attitude to faith and morality pervades in the atelier you attend. 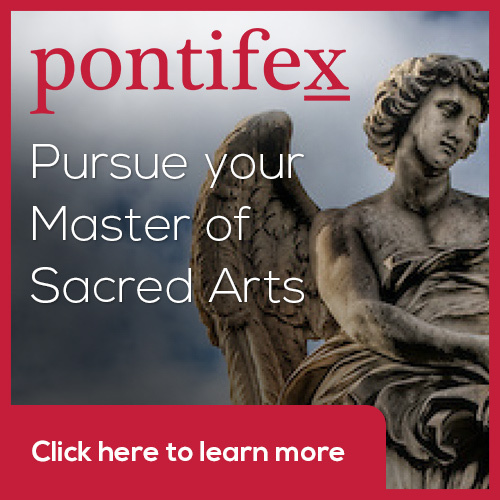 Many have a hostile attitude to the Catholic faith and morality, and students will have to be ready to face this just as they would in more conventional art schools. Quite apart that an immoral atmosphere is undesirable in itself, the worldview of the artist affects the style in which he paints, whether done consciously or not. When studying n an atelier, we take precise direction via the critiques of the Master who runs it. For the period that you are his student, your work reflects his taste and style. Having the humility to be told what to do in such minute detail is a necessary aspect of the training. However, if this taste and style reflect values that are flat contrary to your own, then the learning process is not such a happy one. As a quick test, take a look again at the online galleries of work, especially paintings of the human person, at those same ateliers listed on the Art Renewal Centre. Ask yourself in each case if you think that the figure has been portrayed with the dignity that reflects the Catholic understanding of the human person. The one place that I know of in which the training is of the highest quality and that Catholics can flourish without compromising their faith in any way is Ingbretson Studios in Manchester, New Hampshire. Paul Ingbretson is a modern Master of the Boston school and is one of those I mentioned who was given his training by Ives Gammell in the 1970s. He has been teaching ever since. His school has an international reputation (we were all well aware of it, for example, when we were studying in Florence). For those who are about to go to college but don’t want to leave their art behind while they study a traditional liberal arts programme at a Catholic college, Thomas More College of Liberal Arts is the one place where you can study both. By coincidence Ingbretson Studios is just 10 minutes drive from the TMC campus. This semester, undergraduates have been able to choose to study academic drawing for a full day a week. Those who have a strong enough interest will also have an opportunity to train full time for three solid months each summer if they wish to do so. This is part of the college art guild of St Luke in which students are able to learn also traditional iconography and sacred geometry. The painting at the top is The Incredulity of St Thomas painted in 1620 by Gerrit van Honthorst, which is in Madrid's Prado. The photographs above are of the first drawings by students on the Thomas More College summer programme, which is taught by Henry Wingate, a former student of Paul Ingbretson, and which is repeated this summer. These represent about 5 full days' work. The photographs below are of Thomas More College students on their first day at the Ingbretson Studio this past week. Notice how when they draw they are not looking at the cast. They are drawing from memory. Standing a few feet back, the compare drawing and cast and decide what original mark or correction to make, then they walk forward and draw it. Having done this they then retreat, once again to compare drawing and cast to see if what they did was correct. And the process is repeated over and over again. The photograph above is of a still life setup by a more senior student at the Ingbretson Studio, and below are a couple of finished student cast drawings. When I first decided that I’d like to try to paint in the service of the Church I decided I wanted to paint like Fra Angelic (or perhaps Duccio). I suppose you might as well aim high! Fra Angelico, who worked in the 15th century, had the balance of naturalism and idealism that appealed to me. It seemed just right for prayer. It’s just an anecdotal observation, but when I meet people who have the same outlook in regard to the liturgy and orthodoxy in the Church, it seems that invariably they feel the same about him; and John Paul II described him in his Letter to Artists as one whose painting is ‘an eloquent example of aesthetic contemplation sublimated in faith’. Unfortunately, the late-gothic style of Fra Angelico is not a living tradition and I couldn’t find anyone who painted that way who could teach me. I decided that as it appeared to sit stylistically between the Romanesque (which is an iconographic form) and the baroque and these were forms that are taught today, to some degree, I would learn both and try to work out how to combine the two. I am still working on that now! What is it that characterizes gothic figurative art? We start to see a change in figurative art around 1200AD. The departure from the iconographic prototype occurred due to a different sense of the reliability of human experience. Information received through the senses was seen much more as a possible means of the grasping of truth. Tied in with this is the belief that the world we live in, although fallen and imperfect, is nevertheless good, ordered and beautiful. So there may be evil and suffering in the world, and it may not be as good and beautiful as it ought to be, but it is nevertheless God’s creation and still good and beautiful. This change caused both the rise of naturalism in art and the development of science fostered by the Church. I have read of two main reasons for this. One is the incorporation of the philosophy of re-discovered works of Aristotle (who trusted the senses more than his teacher, Plato) into Christian thinking, by figures such as Albert the Great and Thomas Aquinas. This provided the intellectual basis for the development. Second is the spirituality of St Francis of Assisi. He loved nature as the work of God and as Franciscan ideas spread so did an enthusiasm for, and curiosity about, nature. Let’s look at a very famous fresco by Fra Angelico of the Annunciation on the walls of a cell at San Marco in Florence. He consciously employs some of the developments of the new naturalism: there is cast shadow, there is single-point perspective creating a sense of depth in the covered cloister; the archangel is in profile. But there are also stylistic aspects that we are accustomed to seeing in iconography: the figures are painted in the middle distance, the edges of each shape are all sharply defined and the colour is evenly applied (unlike the baroque which has selectively blurred or sharp edges and selective use of colour or monochrome, usually sepia, rendering). If we examine the further, we can see that the light source that is casting shadow is from the left. If cast light were the only source, the face of the Archangel would be dark, yet it is bright. Fra Angelico is showing the face of the Archangel glowing with the uncreated light of holiness, which is what we are used to seeing in the Byzantine iconographic form. I was giving a lecture once about this painting and a student asked me about the shadow. He pointed out that Our Lady is a saint, he could see that her face wasn’t in shadow and there was strong halo, representing he uncreated light coming from her. But also pointed out that there is a strong cast shadow on the wall behind her. Wouldn’t you expect her radiance to obliterate that, he asked? I agreed with him, you would. But I couldn’t say why Fra Anglelico had painted it like this. I speculated that perhaps it was due to the fact that there were two light sources from the left – the natural light and the uncreated light from the angel and that the combined intensity of light would cause the shadow against the wall. I had to admit even as I said it that my answer sounded contrived. Nevertheless, it did seem deliberate. Another Annunciation, shown below, has the same shadows. He suggested an answer: Fra Angelico was a Dominican, and not a Franciscan. 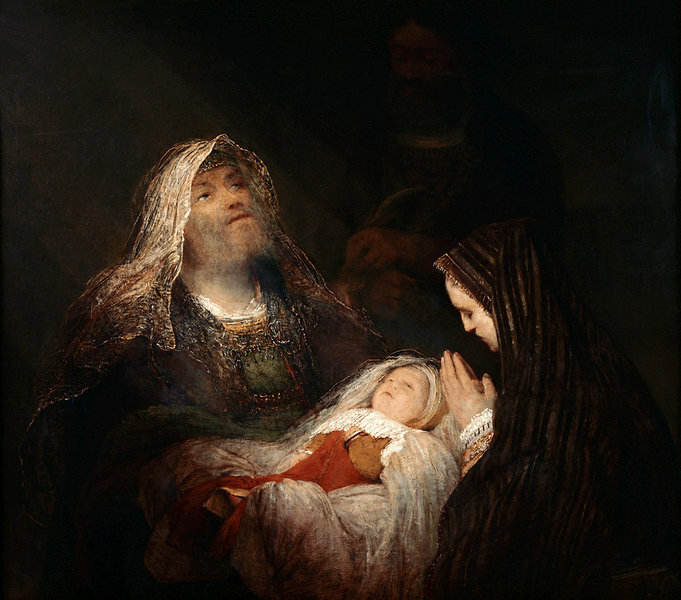 At this time the question of her Immaculate Conception had not been decided and the Dominicans did not accept the Immaculate Conception and were in dispute with the Franciscans over the issue. Perhaps Fra Angelico was making a theological point to the Franciscans, he suggested by dimming her light ever-so slightly. This was an ingenious suggestion, and I couldn’t say that it wasn’t what Fra Angelico had in mind. I certainly preferred it to my answer! When Pope Benedict XVI spoke recently to assembled artists (in the broadest sense of the term) in Rome, he was echoing John Paul II and Paul VI in calling for a new culture of beauty. Benedict emphasised strongly, perhaps even more strongly than his predecessors, the importance of the evangelization of the whole culture and how beauty is a principle that can inform all human activity – work and leisure as well as worship. When we work beautifully, we work gracefully ie with God’s grace, and we are travelling on the ‘via pulchritudinis’ - the Way of Beauty - which leads us ultimately to God and attracts others to Him. If this broader evangelization of the culture is to happen, it must begin with orthodox, dignified and beautiful liturgy. It must, in my opinion be closely followed by the art, architecture and music that is united to it. This will set the form that becomes the model upon which all aspects of the culture are based, just as it did in the past. At the moment, the re-establishment of iconography is slightly further ahead than that of naturalistic Western art (as a sacred art form) and our Eastern brethren are setting the pace in this respect. Like Western art, iconography (even in the East), had degenerated under the influence of the Enlightenment. (For further discussion on this see the article about icons, here). Its resurgence began first in the Eastern Church in the mid 20th century, with figures such as the Greek artist Photius Kontoglou and the Russian émigré based in France, Gregory Kroug. Under their influence, the next generations of iconographers have come through. The Western Church has lagged behind slightly in this respect, perhaps 50 years (maybe hampered by the difficulties in its liturgy). However, just as we see light at the end of the liturgical tunnel now in the West with what I have heard people refer to as the ‘Benedictine Restoration’ (as in Pope Benedictine XVI), we do now see Catholic iconographers are beginning to emerge. One is Sr Petra Clare, who is a Benedictine nun based in a skete in the Scottish Highlands. It is a bus ride northwest of Inverness in a village called Cannich and it is a truly beautiful spot to visit if you get a chance. Here are some examples of her work. You also can see her website here. I first became aware of her work through visits to Pluscarden Abbey near Elgin in northern Scotland. She was commissioned by the abbey to paint two large icons, a John the Baptist (or John the Forerunner) and a St Andrew (seen here). They are facing the monks in the choir and visitors sitting in the transcepts have to strain their necks slightly to see them, but it’s worth the effort. Sr Petra's style is probably closest to that of the Russian school. When I have written about her work in the past, some have questioned the validity of having an Eastern style in the Western liturgy. Shouldn't we, they say, use some of our own iconographic traditions? After all we have Carolingian, Ottonian, Celtic and Romanesque styles that all conform to the iconographic. My thoughts are that we have to start somewhere good, which Sr Petra does, and there has always been cross fertilisation in iconographic styles. Also, the Romanesque itself, was a style formed by contact with the East and when it began resembled greatly the Greek Eastern styles. Gradually, a distinct voice developed naturally. Also, I would say that Sr Petra is an experienced icon painter and without ever seeking to force it we can see her own style coming through. Who's to say that isn't Western?